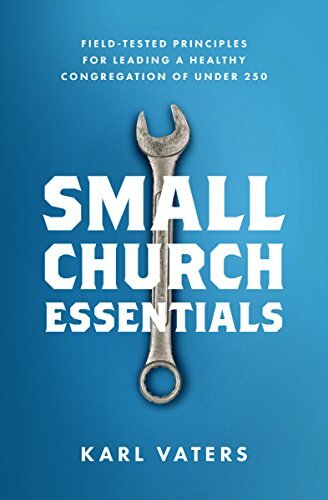 Small churches can’t do everything. But we can do a lot more than we may think. The challenge is to use our limited resources in the best possible way, for maximum ministry impact. Over the years, our small church has learned a few principles that help us do just that. When you go it alone, you have to do everything. In a big church, that gives you the chance to call the shots and do exactly what you want in the way you want. Small churches should consider partnering with another ministry that’s doing something really well, and very efficiently. This targets our resources more tightly by not reinventing systems or facilities that are already in place. Small churches should consider partnering with another ministry that’s doing something really well, and very efficiently. For instance, if your church has a heart for feeding people, but you don’t have the room to store food, connect with another church or food bank that has plenty of space. They’ll be grateful for your help, you’ll do more ministry, and the people who need the help will receive a greater blessing. Next month, our church is implementing an idea that our youth pastor gave us, called Heart for the World Sunday. On that day we’ll receive an offering, all of which will go towards an emergency fund to help our missionaries and others as needs arise. Between now and then, we’re encouraging our church members to put money aside for it. Some of them are reducing other expenditures to do so. Many are giving up something that matters to them to help others. There are several advantages to having a day like this. Second, it reminds our members of the importance of generosity. Third, it avoids the compassion fatigue of going to the church every time a need arises. Fourth, it allows us to plan our giving for the best possible outcome. No church can respond to all emergencies. So every church needs a plan that helps decide which needs they’ll respond to and which ones they won’t. This isn’t easy, but it’s important. Sometimes a church’s priorities will be based on the severity of the need, but we also should make some of those decisions based on which needs we can make the biggest difference in.